Jo Knowles is the author of Jumping Off Swings and its sequel, Living with Jackie Chan, as well as See You at Harry’s. She lives in Vermont with her family. The book proceeds, each new character entering, with his/her realities, dreams and secrets becoming another masterfully woven thread. With emotional explorations and dialogue so authentic, one might think Knowles isn't creating but channeling the adolescent mind. 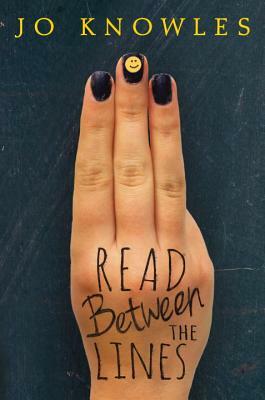 A fascinating study of misperceptions, consequences and the teen condition. Achingly truthful... The short story format could tempt reluctant readers, and many young adults will see shadows of themselves in the well-drawn characters. Hand this one to fans of dramatic realistic fiction and those who enjoy slice-of-life novels. Each (story) can be read and appreciated in isolation, but readers will enjoy piecing together the stories and the accompanying relationships. The stories are all skillfully written ... may cause readers to think twice about the sentiment behind that sign. This is a poignant read that will leave readers thinking. These interconnected stories create a powerful, complex whole.